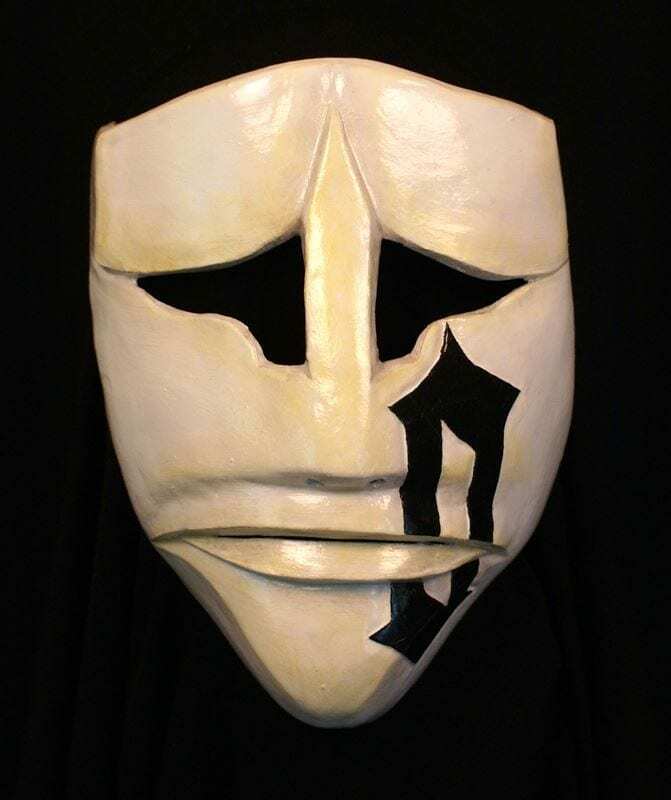 The DJ O mask is an example of a custom mask made for an EDM DJ in Europe. Since the arrival of Deadmouse masks have become very popular amongst DJ’s. It is not uncommon to find the mixers in a mask behind the consol. This mask is glazed, gilded and made to reflect as much light as possible. It is both functional as well decorative. As with all the masks from Theater-Masks.com it is wearable art. This modern music, masking and a celebration of transformation all in one form.